I am a licensed Mental Health Therapist with over 5 years of experience. I have worked with a wide range of clients including those experiencing depression, anxiety, self-esteem concerns, codependency, intimacy issues, substance abuse, relationship conflict (family, friendship, couples, etc), stress, parenting concerns, life stages and transition, trauma, abuse (sexual, emotional) and grief. I focus on working with individual to create a healthier, happier life by exploring childhood and current patterns. Past experiences shape our current lives and contribute to our overall mental health. My counseling style is interactive and collaborative. I utilize CBT, Solution focused, mindfulness and talk therapy. However I use the most appropriate and effective modalities to personalize each clients therapeutic process. I provide a safe and judgment free space to offer support, growth and change. I look forward to working with you. Keisha has taken the time and care to really get to know me and my issues over the several months that I've worked with her. I feel like a stronger and healthier person because of the help and guidance she's given me. Don't know where I'd be without her! Keisha is amazing. I’ve only been using this service for almost two weeks, but already it had lifted such a weight off my shoulder. Keisha is very knowledgeable and understanding and has already helped me so much in finding peace and trust with myself. It’s a long scary road but she makes it seem possible and really puts things in perspective for me. I would highly recommend Keisha, her guidance is invaluable. I've really appreciated how consistently Keisha has responded to me. Every day she responds is around the same time. I can tell she takes the time to read through, and understand what I'm talking about and what I need. She makes sure she clearly understands me. And she doesn't push. Definitely recommend her to a friend! She is very patient with me. She made me feel really comfortable and how I can tell her everything. She is been really helpful and understanding what my issues are. A lot of things I haven’t realized my issues and my behavior. I would definitely recommend Keisha to anyone. My counselor is very patient and understanding she makes you feel comfortable especially talking to her as a stranger. I’ve only been working with Keisha a short time, however I feel she has a pretty good understanding of what my concerns are and what direction I should be moving in. On our first phone session I had a very real “aha!” moment that inspired me to keep moving forward. She's been really helpful and understanding of what my issues are. A lot of things she pointed out are things I never realized was what led to my problematic behavior. I feel very comfortable opening up to her and feel like I've taken a real first step towards recovery with the coping methods she gave. Keisha is amazing. It can't be put into words how much she has helped me. I am eternally grateful. Through working with Keisha over the last couple of months, I have found great support in our sessions and really enjoy working with her to build up my self-esteem and confidence. She always checks in with me if she hasn't heard a response in a few days, which is good for me because sometimes I'm quite busy or need that extra reminder to respond. I would definitely recommend Keisha to a friend or colleague! Keisha is wonderfully supportive and very accessible. I feel like I make real progress every time I speak with her. She's so kind, helpful, amazing women, and so beautiful, she knows how to help you, how to make you feel better feel about yourself no matter what, and never feel disappointed or sad for the way you born, she knows how to touch your soul, how to make you feel good about tomorrow, she make me feel hope, and I will always be thankful for her until the end of the days. Thank you, thank you so much for everything. Keisha is very knowledgeable and compassionate. She understands and attends to her clients needs. She is very accessible and I loved that she asked profound questions in order to help me explore my own limitations. Thank you for your support. 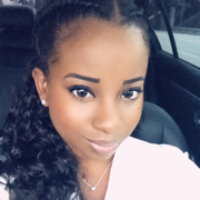 Would you like to write a review for Keisha Crooks? We'd appreciate if you can spend a couple of minutes to write a short review for Keisha Crooks (LMHC). This review would be shared with Keisha Crooks. It may also be posted in our website or in Keisha Crooks's profile but it would be anonymous and your identity would be kept completely confidential.